The winning games for this year's Game of the Year awards have been announced. 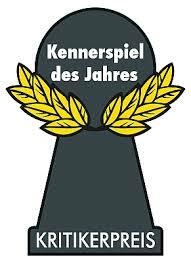 For those of you who aren't familiar, Germany's Spiel des Jahres awards are considered the most prestigious award in the board game world. Codenames is a team word card game. Two teams (red and blue) each with a spymaster compete to be the first to identify all of their teams spy cards. Only the 2 spymasters hold the key that identify which of the codenames in the central 5 x 5 card tableau are the spies on their team. On their turn a team's spymaster will give a one-word clue that relates to one of more codenames in the randomly assembled 5 x 5 card tableau that identifies to his/her team. 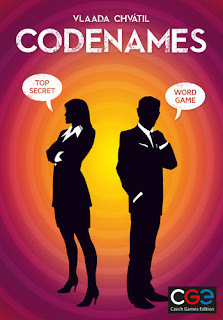 Armed with this information, the members (field operatives) of this spymaster's team must try to correctly identify which codenames are the spies on their team while those that belong to the opposing team. Both the spymaster and field operatives must be careful as a wrong guess may reveal an innocent bystander or worst, the assassin. 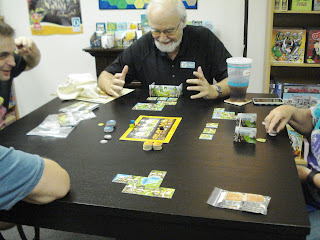 Isle Of Skye is a quick tile placement and auction game. Up to 5 Scottish clans are competing for dominance, each trying to take away the best swaths of land from one another, and selling off the unpleasant ones for a lot of money! In Isle Of Skye each player gets to construct their own island. During the game players will draw and price landscape tiles that will be used to build the islands, carefully purchase landscape tiles from their opponents, and manage their money to best take advantage of the 4 randomly selected scoring tiles. After 6 short but intense rounds, the player with the most points will be the winner. Included are 16 scoring cards of which you will use 4 in a given game. There is lots of replay value in this game of Scottish clans. Read our Game Profile: Isle Of Skye to learn more. 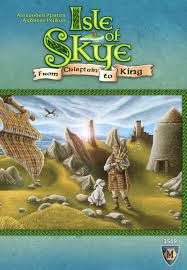 We have an open copy of Isle Of Skye available in our Demo Games Library for you come in and try.